Hervé Niquet possesses two constant character traits: he is an indefatigable excavator of forgotten music, and he loves polyphony and large forms. A few years ago, he caused a sensation by exhuming the monumental music of Striggio. 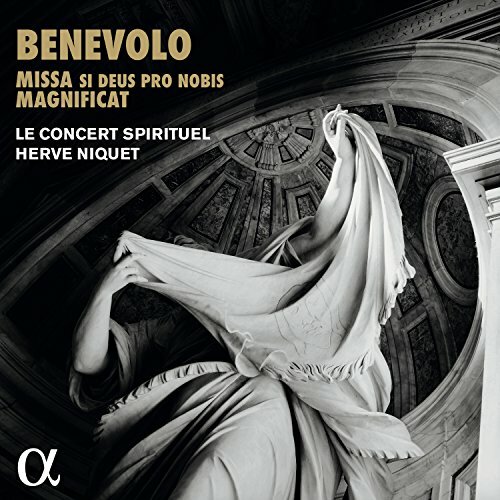 To mark the thirtieth anniversary of his ensemble, Le Concert Spirituel, he now tackles a new peak of polyphony: a mass by Orazio Benevolo (160572) performed by eight choirs of four singers, accompanied by fifteen continuo players. In concert, the choirs are spread out around the nave, with the audience in the middle. Benevolo was born to a Burgundian confectioner father who had emigrated to Rome. Educated at the choir school of San Luigi dei Francesi, he became one of the greatest geniuses of polychorality, a prolific composer who represented the splendors of French art in Rome. He ended his career as maestro di cappella at the Vatican. This music has been resurrected thanks to the work of the great musicologist Jean Lionnet, who spent many years copying out by hand the music of numerous Italian composers in the Vatican archives, from which it was impossible to borrow documents. As a result of his labors the Missa Si Deus pro nobis has now been recorded, accompanied by vocal and instrumental pieces by Monteverdi, Frescobaldi and Palestrina.